Having been lucky enough to live in China and witness the 2008 Olympics first hand, I can’t get enough of the multi-nation event. There is something about watching nations come together to cheer on a common cause and hearing inspiring stories about athletes who have beaten the odds or overcome seemingly impossible obstacles.Plus, the opening ceremonies are always a real treat. 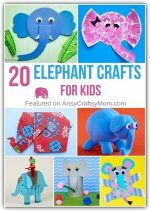 Get your children interested and involved in this huge global event with these 11 Easy Olympics Crafts for Kids! This Olympics Ring Craft from Sugar Aunts uses recycled toilet paper rolls. The rings can get messy to paint, but is a great sensory and fine motor activity for tiny hands. Simple activities, especially those that involve LEGOS, are always a hit at our house. If like me, you also find yourself stumbling onto Lego pieces every where around your house, worry not! Use the Legos to do an Olympic Rings inspired colour sorting activity from Toddler Approved. Put an Olympic twist on learning letters with this fun alphabet craft from I Can Teach my Child. You need just minimal supplies for this craft – super easy! This project from Life in Wonderland shows you how you can turn simple eyeglasses into fun and colorful eye accessories to sport during all the Olympics event viewing. Got some coffee filters and markers lying around? Then don’t look further than this cheery Olympic ring craft from no time for flashcards! Go for Gold with these adorable handprint medals that are sure to be a hit with the kids! Get full instructions from Parenting Chaos. This Dixie cup art project from East Coast Creative Blog is super simple. It won’t take much time or prep, and your little ones will love it! You can’t think of the Olympics without an Olympic torch! 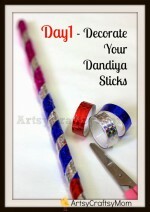 This paper torch craft from Rainy Day Mum is perfect to make in time for the Opening Ceremony at this year’s Olympics. Paper Chains are a classic kids craft and the perfect way to create a little excitement around an upcoming event. Each Day the kids will remove a ring and discover a fun Olympic fact. Get the full tutorial and the PDF with 25 fun facts at Housing a Forest. Every kid needs a paper laurel wreath if they are watching the Olympics. This one from Easy Preschool Craft is just right for kids this season! What’s an Olympics event without a shiny medal at the end of it all? The use of glitter in this craft from Homemade Ginger makes it all so much more realistic! The first Olympics allowed the participation of only men. In the first Olympics in 776 BCE, there was only one event—a short 200 meter sprint called a stade. The 1936 Berlin Olympics (also known as the ‘Nazi’ Olympics) were the first Olympic Games to ever be televised. Before the advent of television, sports fans had to make due with radio commentary, and before radios were common, you could only read about the results of the events in the newspaper. 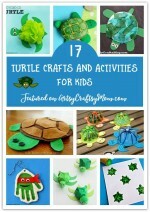 Kids and adults alike will have great fun while doing these Easy Olympics Crafts for Kids. Do let us know which ones are your favorite!